* Sweet fruit on the top- black berries and strawberries- with a hint of spice. * It smells clean and fresh to me, very similar to what you would expect from a department store designer fragrance. * The fruits fade away as lavender comes in with a spicy floral undertone. * Guys shouldn’t be scared of the floral note – it isn’t that strong. * The base is a clean, woodsy musk. Summary: Although I live in Tennessee, I don’t make it up to Knoxville that often – so I can’t really gauge if these are REALLY the smells of the college. Honestly, it could probably smell like bongwater and the ravenous UT Vols fans would still buy it up. The MASIC company has discovered a great and loyal crowd who will buy signature fragrances – university students and alumni. The scent smells nice and will please a lot of people who are looking for an easy to wear, everyday, work-friendly scent. As stated above, it is very similar to a lot of the designer fragrances you see in a department store. It isn’t groundbreaking, but that’s not its purpose. For the target audience, it is a great fit. 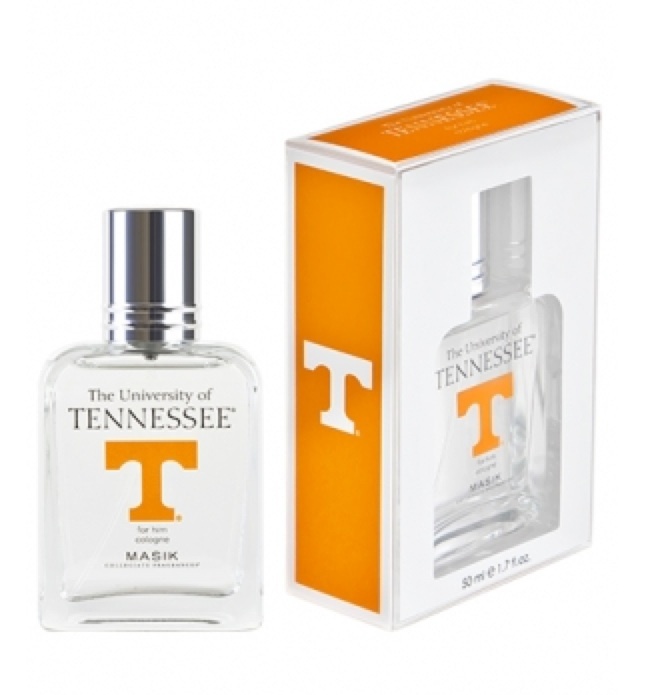 Masik University of Tennessee Men’s Cologne is available at the Masik Website and Belk. Sample provided by publicist.